The psychic atmosphere (according to my perception) shows me a picture. It is like a small vivid picture and is intensely bright and clear. It is more intense and colorful than the ‘dull’ colors we are familiar with even the beautiful and bright nature colors we can see. In comparison the psychic picture is very much brighter. After seeing the picture in the psychic atmosphere it is up to me to explain the picture based on my knowledge and vocabulary and ability to express in words what I am sensing and feeling. This is the work, to search for the words to properly describe what I see and feel and perceive so that it makes sense. 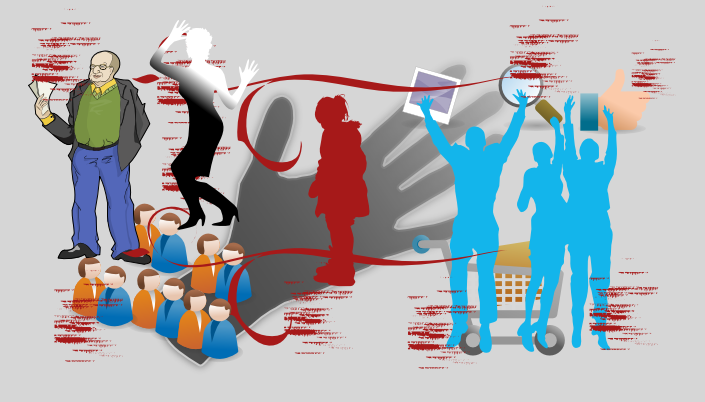 The picture: people moving within a web page with an outstretched hand that reaps the reward of the movement of people through emotional response. The modules of movement on the page can be arranged so as to form a pattern that corresponds with a hidden agenda. You are participating in a previously designed virtual interaction which is interfering with your free will choice. This is why young people are not wanting to participate, they sense it and are moving away. Older people want someone to tell them how it is as they don’t like the idea of aging. The youthful quality of modern technology is attractive. The so-called “cool” word is a powerful motivator to become inclusive of a privileged circle within a community. If you are ‘cool’ you are on the inside if you are not ‘cool’ you are on the outside and therefore without status. The entire modular interaction is manipulated by a virtual invisible outstretched hand with money interests only. People young and old are responding to this virtual setup. All of this prevails – until the individual says; no thanks – I have a choice. Now we can say this is a logical conclusion based on what we are experiencing and everyone knows this. Do they? Show me where it is being said as such. I see only the opposite, like us, do this, buy that, have it made, half off, free, cheap, easy, available, reliable, dependable, new and improved, approved, endorsed, as seen on television by… you fill in the name. Since when did people work so hard to produce such excellence? If we really had excellence wouldn’t we know it? I say we would. Surely we know quality when we see it. Now we must work to know the fake from the genuine. The work is the rise of the individual who remembers the value of their time as well as the influence of example. What is your influence? Right away, one of my primary influences is my daughter. Providing for her and making sure she has the things/tools she needs to go forward. This includes myself because if I am not taking care of and doing for myself, I certainly cannot provide certain things for her. What a great influence to have in the life of your daughter, she will learn by your example.